Whenever I'm shopping for parts, or I need quick spec on something (torque, part number, OE brand, etc), I don't really have a place where to ask on the forum. For example, yesterday I needed to know what voltage our alternator was supposed to output at idle but couldn't find it without Googling for half an hour on my phone. Answer: 14.0V +/- 0.2V on new components and healthy engine. I've been looking for such a thread forever, but couldn't find one. So here is the random E46/ZHP-related question thread, where repeat questions are welcome and "just google it" isn't the answer. 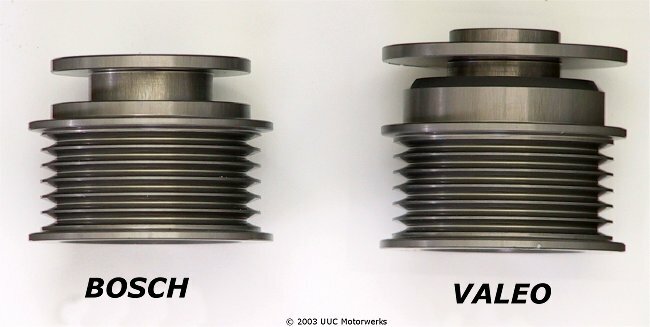 Do most ZHP's have hydraulic serpentine belt tensioners ? What's the production date cut-off if not ? I've thought about this type of thread. Glad to see I'm not the only one. The only way to find out is the look for the hydraulic unit. While I am not sure if they came with mechanical or not, I would imagine if any E46 came with a mechanical, they may have changed over to the hydraulic unit. It is likely that many have changed over since many E46s are now pass the cooling maintenance period. It is best to check. How does one tell its a BOSCH or VALEO without removing any pieces? To my knowledge, there isn't. The only way I could tell what mine was by pulling it out and looking. Glad I did it while it was out, too. Can anyone get me a P/N for the one for use with ATF? It probably doesn't matter, but I just want the cap to say the right thing, and the one on ECS is wrong. BTW, Alex, perhaps recommend that everyone subscribes to this thread? If we all commit to check and reply to this thread, it could become a fantastic utility. This is a great idea... quick place to go for an answer when you don't have the time to really dig it up. I don't think there is another part number for ATF. but there is a sticker to affix.